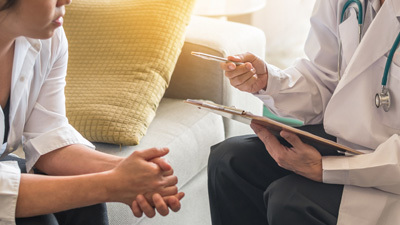 At South Lincoln Medical Center, we believe that it is important that you have a medical provider that you feel comfortable with when communicating your gynecology needs and concerns. We are dedicated to creating relationships with our patients in order to provide the best care possible. Pelvic exam - pelvic exams are extremely important tool to catch uterine or ovarian cancer in the early stages. If you have had a hysterectomy, you will need to have a pelvic exam. Healthy women between the ages of 21 and 39 can wait between 1 to 3 years to have a pelvic exam. Women over 40 should receive annual exams. General exam - It is recommended to see a gynecologist at least once a year. During this visit you can discuss concerns, problems you may have had, and receive non-invasive screenings for cancer and other conditions. You may also receive an STD screening if you have been sexually active, and have any concerns. Breast exam - It is recommended that healthy women between the ages of 25 and 39 should receive a clinical breast exam every 1 to 3 years. From age 40 and up, they should upgrade from physical exams to mammograms and receive one every 1 to 2 years. Pap smear - It is a common misconception that Pap smears and pelvic exams are the same things. These are different procedures that inform doctors on different things. A Pap smear is primarily used for the detection of cervical cancer. From ages 21 to 29 it is recommended you have a pap smear every 3 years. If you have an abnormal pap smear, you may be asked to return more frequently. As you grow older, your risk of cervical cancer decreases, and by age 30 many women will only need one every 5 years. If there have been no abnormalities by age 65, you can likely stop having them entirely.